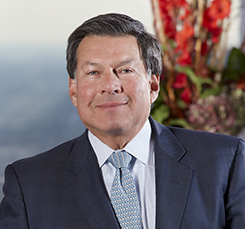 Lance is co-chair of the Firm’s Tax & Business Planning Group, serving both large and closely held entities and individuals domestically and abroad. He handles complex joint venture and corporate transactions, formulating optimal structures and the characterization of funding in the tax, real estate, securities, intellectual property, and estate planning fields. Lance advises clients before the Internal Revenue Service and other taxing authorities through the audit stage and beyond. His tax practice is relationship-oriented, thereby enabling him to utilize his immense creativity in a manner uniquely suited to each client’s personalized needs and aspirations. Led a team that created a European operating platform for a public U.S. real estate company having operations and investment activities in Belgium, France, Germany, and the Netherlands, as well as financial and managerial operations in Luxembourg. The project involved a cross-border tax strategy for the client and its institutional co-investors, as well as legal engineering in the areas of corporate matters, employment and real estate law, and supervised coordination of local counsel in each EU country of interest. Structured loan and equity investments for individual and institutional investors out of countries not benefiting from U.S. Income Tax Treaties that nonetheless legitimately eliminated both U.S. tax withholding and other U.S. income tax consequences. Formulated structures for non-U.S. companies affiliated with U.S. entities having U.S. permanent establishments that legitimately enabled their income to be maintained offshore.